​The Garage Floors 1 Day system lives up to its name with a one-day installation process. That means faster drying times and complete protection from all your bikes, tools, vehicles, and more. ​Other epoxy floor applications can take days for preparation, coating, and to finish drying. Choosing our brand, however, means using your garage with your new protective flooring the next day. 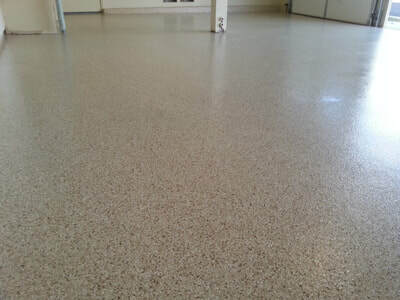 Why continue living with dull poured concrete garage floors when you can have the added durability and visual appeal of quality epoxy floors? Our installation process is the ideal protective coating for any residential or commercial surfaces. Our epoxy coatings provide lasting protection for concrete surfaces that eliminates much of the cleaning and maintenance needs in high traffic areas. It withstand chipping, cracking, stains, and other typical hazards. We provide epoxy flooring for residential, commercial, and industrial spaces throughout the community. 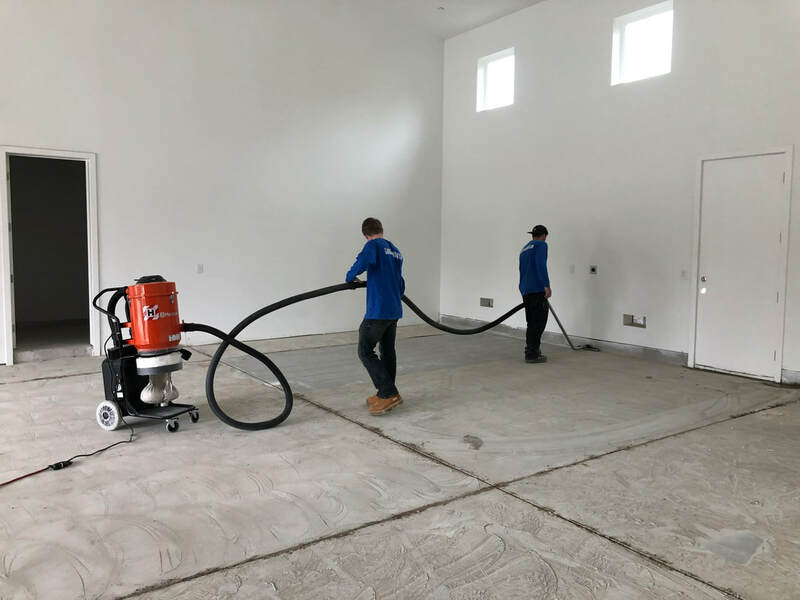 As a locally owned and operated epoxy flooring company, we are pleased to offer our full range of services to more homes within our community. Our team is available to assist clients in Irvine and Orange County, as well as the surrounding area. If you need to learn more about our coatings for your home or business, contact us and discuss your needs with our representatives. 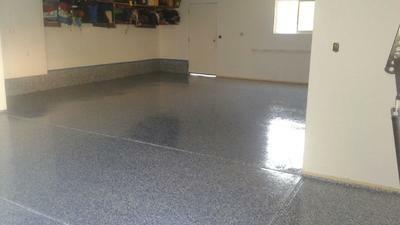 Garage Floors 1 Days are epoxy flooring experts here in Orange County CA. We provide quality products and professional installers to ensure that our customers love their garage floors when our project is complete. Our custom coatings are the ideal choice for any home or business. Our installers bring decades of industry experience to every job, and they have the expertise to apply our product to virtually any surface. ​When you need to know that you’re getting lasting durability for your floors, look no further than Garage Floors 1 Day. Contact us to schedule your best one-day epoxy floor installations. 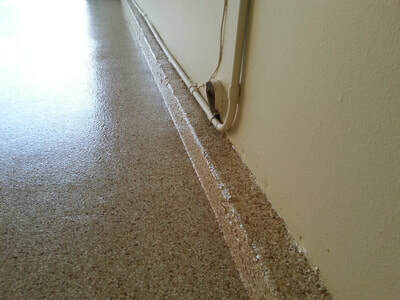 Epoxy is known for its ability to be used as a topcoat and a midcoat. Polyaspartic coatings are no different. Both can be used to prime, but typically, epoxy is more common in the industry and here at Garagefloors1day we a leader in our industry. They are also both very compatible with urethane mortars and materials like it. This adds to their incredible versatility, and shows how both of these coatings are closely matched in functionality. In fact, you can even use both coatings on the same floor under certain circumstances! 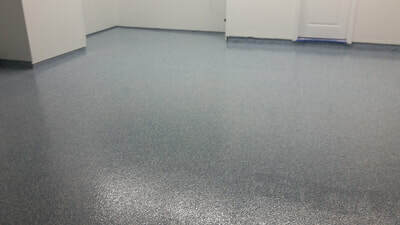 An incredible benefit of polyaspartic floor coatings is that they cure quite fast. This makes polyaspartic a great choice for those who do not have any time to lose coating floors. Epoxy might work better for showroom floors with plenty of time to prepare, but corporate buildings and hospitals might have to work a little quicker to get everything done efficiently. You also won’t need to worry about color fading from a polyaspartic coating. 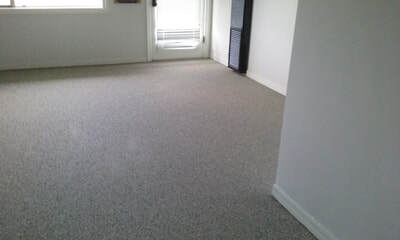 This is great for those who have color flooring and who are concerned about their garage floors yellowing in the future. 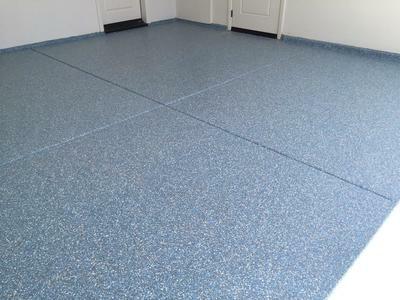 Garage Floors 1 Day will work with you and all your needs. ​We guarantee faster completions that won’t compromise the quality of the finished product or the attention to detail we put into every coating. 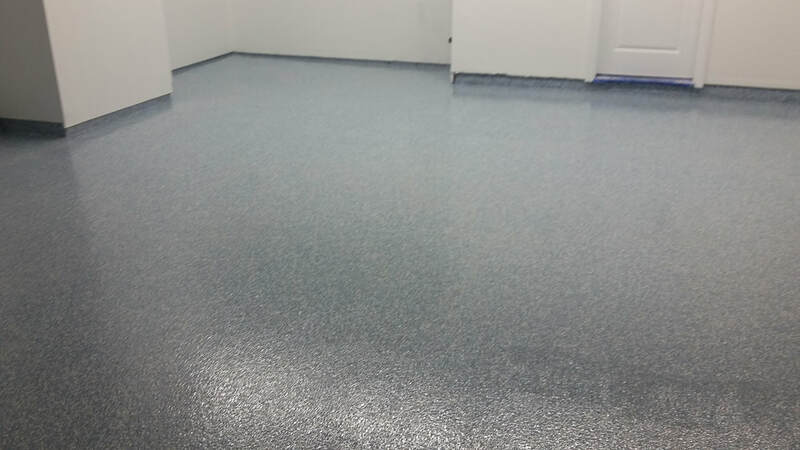 Our team produces exceptional epoxy floors. 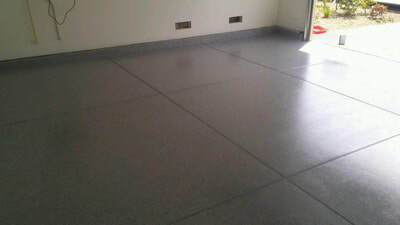 And more concrete flooring services. Your garage is the most versatile space in your home. From protecting your car to creating a DIY project work area, it remains a crucial part of your household. When you need to give your garage the best protection against leaking fluids and daily use, call us to install your garage flooring. Epoxy coatings add protection for your concrete surfaces, but it can also create a brighter, more visually appealing garage that homeowners love to show off. 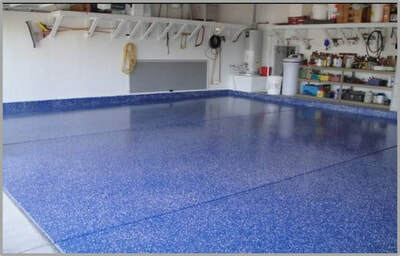 We offer custom epoxy coatings that perfectly balance our clients' need for their garage floors. Without proper sealant to protect it, a concrete floor can be challenging to maintain. It remains susceptible to damage, mold and mildew growth, and discoloration among other issues. An epoxy coating prevents direct impacts to the concrete slab and allows for simplified surface cleaning. Concrete coatings improve sanitary conditions and extend the life of your concrete. Over time, drywall located in your garage can deteriorate from impacts, water damage, and exposure to exhaust fumes. 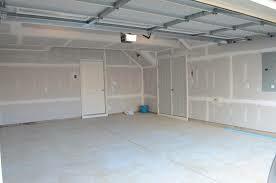 When drywall discolors or remains damaged, it reduces the garage’s appearance. 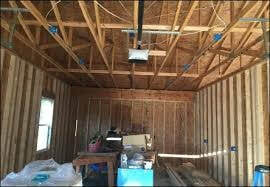 We refinish your garage from top to bottom to restore it to like-new condition. 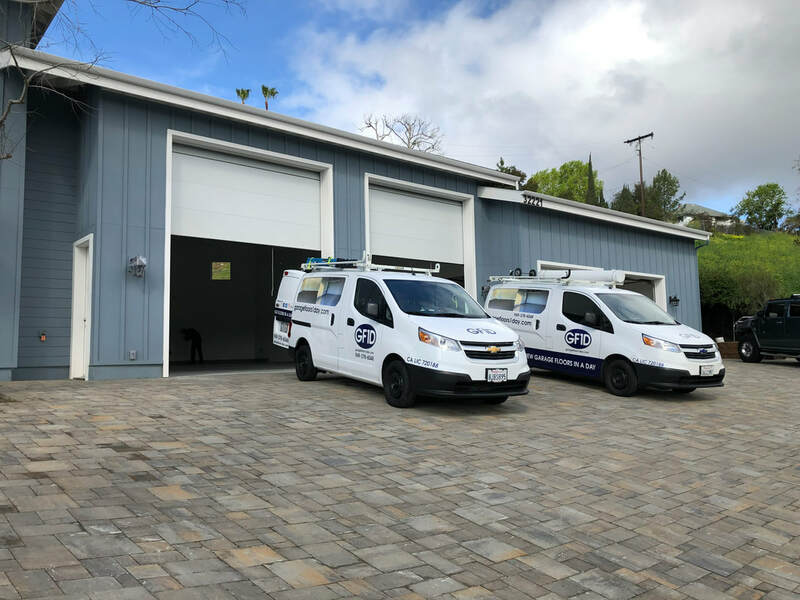 In addition to epoxy garage floor installations, we offer garage drywall repairs and replacement to help you improve the look of your interior. No matter your exact needs or preferences, we offer custom applications to give you options regarding the appearance and performance of your epoxy floors. Our flooring experts will help you find the ideal flooring for you and your home or business. Whether you want a specific color and design, or you prefer a classic concrete coating that lasts, our experts will gladly assist you. 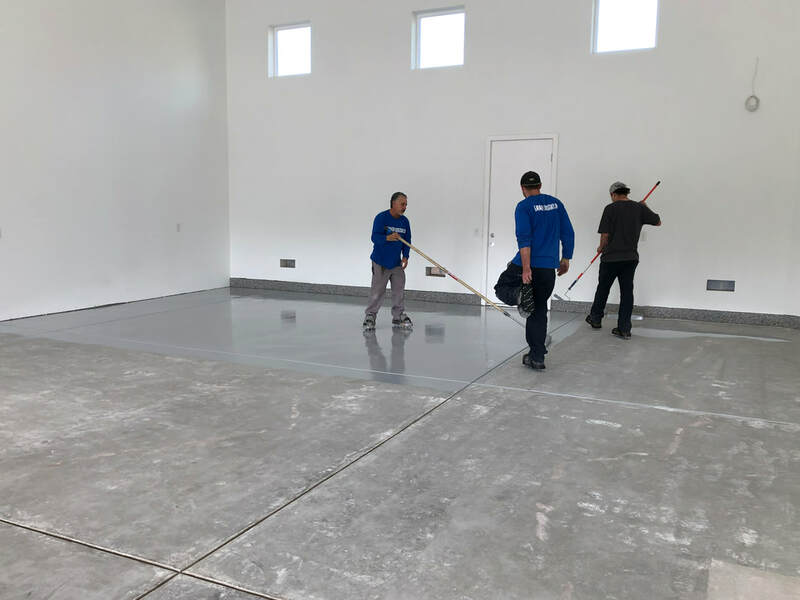 Garage Floors 1 Day provides epoxy flooring for residential, commercial, and industrial spaces throughout the Orange County area. As a locally owned and operated epoxy flooring company, we are pleased to offer our full range of services. If you would like to know whether your home or business is located within our area of service, please contact us directly to speak with one of our representatives. To learn more about our best epoxy floor coatings and our other services, contact us today. Let us assist you in making the best decision for your home or business needs with lasting protection and improved visual appeal. "Our company recently had Garage Floors One Day come in to apply an epoxy coating over our warehouse floor. Their team was polite, professional, and focused. They did an excellent job and delivered well above and beyond our expectations. The floor is seamless and smooth and the color is exactly what we had asked for." When I heard about epoxy flooring, it sounded like it would be perfect for me. I appreciate how much easier it is to clean up spills and leaks now and I truly love how perfectly glossy and spotless the floor looks all the time. I would highly recommend Garage Floors One Day for quality epoxy flooring for your garage or another other area of your home." "Ever since we fixed up our garage, I've found myself stopping almost daily to admire how much more beautiful and bright it looks on the inside. The custom epoxy floor Garage Floors One Day installed for us is absolutely stunning. It's been months and it still looks like new!"